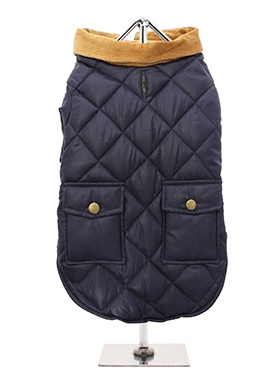 Urban Pup's Quilted Town & Country Coat has been crafted for lightweight warmth and unparalleled heritage style. It just oozes class and is perfect for either the city or country. The beautiful soft corduroy collar has an enamel Urban Pup label pin as standard for that on-trend, quality feel. It has been lined with an elegant and classic fabric for maximum comfort and outstanding style. Choose from either Navy Blue or Forest Green.